Hawaii. A land of deep tradition and rich culture. A people of family and faith. A paradise on earth. Jonathan Napela is a descendant of the Hawaiian royal line, and his future is bright with a new wife and a position of influence in the community. As a devout man, he believes in God, but he feels there is something more—something he is missing. When he meets Elder George Q. Cannon and is introduced to The Church of Jesus Christ of Latter-day Saints, Jonathan feels as though he has finally found where he belongs. Jonathan's friendship with George provides remarkable opportunities for the young Hawaiian to grow in his new faith. His joy in the gospel is tested though, when he is challenged by those he once called friends, and later when he struggles to gather Saints to Laie. And when leprosy threatens to take his beautiful wife, Kitty, from him, Jonathan faces an impossible choice: send his wife to the leper colony of Moloka'i alone, or risk how own life to accompany her. Drawing on his deep reservoirs of faith, Jonathan comes to understand that opening his heart to sacrifice is the purest expression of love. This novel, based on a true story, is an extraordinary example of a man who chooses to serve God and family when others might have given up. What a wonderful way to get know George Q Cannon and the amazing early saints in Hawaii. I loved how the author brought to life the beautiful language and culture of the people of Hawaii. The love story of Jonathan and Kitty was expertly interwoven in to the history of that time period. I have gained a greater respect and deeper appreciation and love for the early church leaders and Hawaiian saints. (One day I would love to visit Hawaii and see the statue). 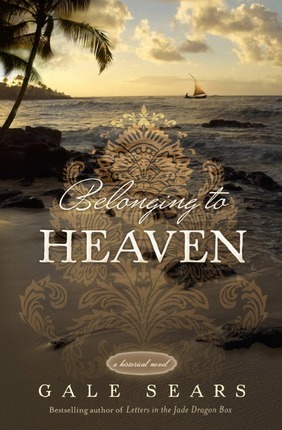 Belonging to Heaven is based on the first missionaries and coverts in the Hawaiian Islands. Historically researched using journals, Hawaiian, and LDS church records and histories, an accurate and chronological base is established. 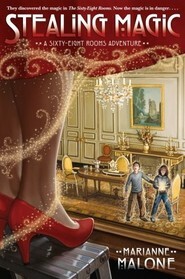 Gale Sears then adds her gift of storytelling creating a memorable and thought provoking narrative. Touching and emotional I would highly recommend this to everyone. amazingly keeps you reading more and can't put it down! The back cover alone made me want to read the book. It was incredible and I finished it last night. Definately a record for me for book reading. I didn't want to put it down, and truly shows the sacrifice, trials, miracles and faith that can happen on a mission and that The Lords work will not stop but continue to be preaced throughout all the world. It also shows how one man can change the lives of so many people. I couldn't put the book down. so i would suggest you go buy this right now and read it! Mahalo! George Q. Cannon didn't know what to expect when sent to the Sandwich Islands, he didn't know what to expect. He found himself on the island of Maui as a young leader over other missionaries. Through guidance and revelation he decides the best way to teach the people is to learn the Hawaiian language. This takes him around the island of Maui, where he meets Jonathan Hawaii Napela. They form a quick bond, and Jonathan Napela joins the church and does great things. They translate the Book of Mormon into Hawaiian, and soon Jonathan is leading the Mormon settlement in Laie, Oahu. Jonathan will face one of his biggest trials yet though, one that will force him to choose between the life and the people he loves most. I used to live in Honolulu, so I was very excited to read his book. I was not let down. The author does a fabulous job of letting you into the world of George Q. Cannon and Jonathan Napela. I find the descriptions of how the early LDS missionaries traveled and taught fascinating. They had to ask for donations to live, and they worked very hard to survive. I would think this would distract from the work, but they managed to get a lot done. I had a passing knowledge of church history in Hawaii, but mostly on Oahu as that's where I lived. I've traveled to Laie many times, so I had fun reading about the sugar cane settlement there and all the work that went into gathering the LDS member on the North Shore. I thought what this book did best was capture the spirit of the Hawaiian people. The respect shown to their heritage and beliefs was admirable. The Hawaiians have such a rich culture and history, and you get a good sense of that in this book. The sacrifice of the early Hawaiian Saints is echoed and represented by the huge sacrifice Jonathan Napela must eventually make. I greatly enjoyed this book. The historical aspects really came alive, and I could almost feel like I was back in Hawaii (although unlike George Q. Cannon I don't think I'll ever learn to like poi). If you are interested in church history or the Hawaiian people, definitely check out this book. What amazing people walk this earth! This story is based largely on George Q. Cannon's journals. He was first called on a mission to work the gold claim on the California's American River...to dig gold for the support of the Church. After that he was called to serve as a missionary in the Sandwich Islands (the Hawaiian islands). 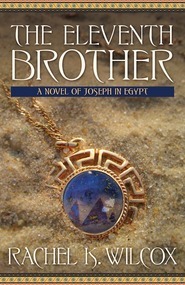 Jonathan and George develop a friendship that will last their entire lifetimes. Together they translate the Book of Mormon into the Hawaiian language and Jonathan takes each new missionary for 2 months and immerses them into the language...the pattern that the Missionary Training Center would later use. Elder Cannon later became an apostle and served as first counselor to prophet Lorenzo Snow. Jonathan becomes a great leader in the church and became the head of the sugar plantation at Laie, but when his wife is stricken with leprosy he goes with her into the leper colony at Kalawao, Moloka'i and becomes the assistant superintendent of the colony...where he lives out his life helping his wife and others who are afflicted with this terrible disease. A story of gospel truths. A story of belonging to Heaven. I was so excited to read this book about Jonathan Napela, he was mentioned in a show about the early LDS Church in Hawaii that I love and I'd been wanting to learn more about him ever since. This novel is well researched and just an amazing story about the life of Jonathon, his wife Kitty, and George Q Cannon, the man who is responsible for Jonathon being baptized. I loved the glimpse of early Hawaiian Latter Day Saints this book gave. I really loved the way it portrayed Jonathon and his wife, and especially Jonathon's faith. I also really loved the way that it portrayed the love that George Q Cannon had for these amazing people. This is a book that you won't want to miss! Sister Sears does it again!!! This might be my favorite. I could not put it down and I was in tears more then once. A beautiful story and well written by a true author. Love, friendship, great church history, wonderful Hawaiian saints, and the story of courage!!! Can't wait to share this with all those I love!! Thank you Gale for your talent!! 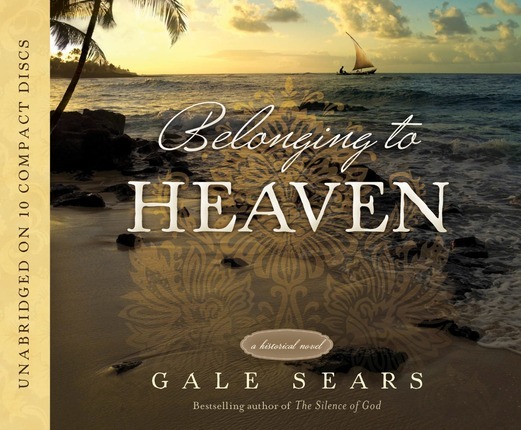 Belonging to Heavennofollow is the true story of George Q. Cannon’s mission to the Hawaiian Islands. Elder Cannon and a small group of elders are called to preach the Gospel to the European immigrants in Hawaii, but George feels the Spirit call him to teach the native population. George dedicates himself to learning the language and culture so that he can better preach the Gospel to the Hawaiians. Along the way he meets and teaches Jonathan Napela, whose royal blood and position of influence make for an unstoppable force for the Lord. We follow these two men through Elder Cannon’s four year mission, Jonathan’s conversion and tremendous work as a missionary in Hawaii, and their decades of friendship. 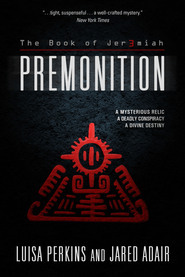 The stories in Belonging to Heavennofollow are taken directly from George Q. Cannon’s journal entries and other historical documents of the time. Jonathan himself had a hand in translating the Book of Mormon into Hawaiian (the first non-European translation) and helped shape the model of language immersion that we still practice in the MTC today. His life was full of unbelievable trials, but his faith was unparalleled and he lived a dedicated life of service until the end. I thoroughly enjoyed this book. It took no time to reach a point where I couldn’t put it down. 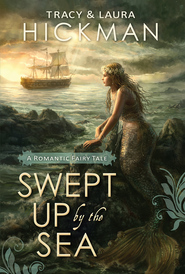 Gale Searsfollow has a wonderful talent for helping you feel like you are part of the story. 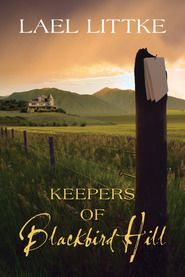 Her historical novels are full of emotion, and she does such a good job of painting the picture for you that you get a true sense of the context of the time period. I was fascinated by the history.